Healthcare Affordability: Motivate People, Improve Processes, and Increase Performance applies the Theory of Affordability across the Healthcare Enterprise. Affordability is realized when the Value delivered exceeds the Patient’s requirements, while the expense for the quality resources required to deliver that Value is at a Cost less than the revenue received from the competitive pricing applied to the care. The aim of healthcare affordability is to attain performance excellence in all areas across the entire Healthcare Enterprise. The Healthcare Enterprise involves 5 types of providers: Healthcare Providers, Medicine and Pharmaceutical Providers, Machine and Device Providers, Service and Supplier Providers, and Insurance and Payment Providers. Obviously, one key focal point of healthcare affordability is affordable healthcare, a condition that has been chased for decades, but has yet to be achieved. This book provides a useful framework and foundation for any organization to pursue and achieve Affordability. Although there are many methods used to accomplish performance improvement, this approach has been proven successful with many organizations. It integrates strategic vision and direction, with operational goals and objectives and tactical targets and tasks. This book also provides a leadership strategy and structure for change and transformation, and a designed plan to execute an 18-month implementation program. 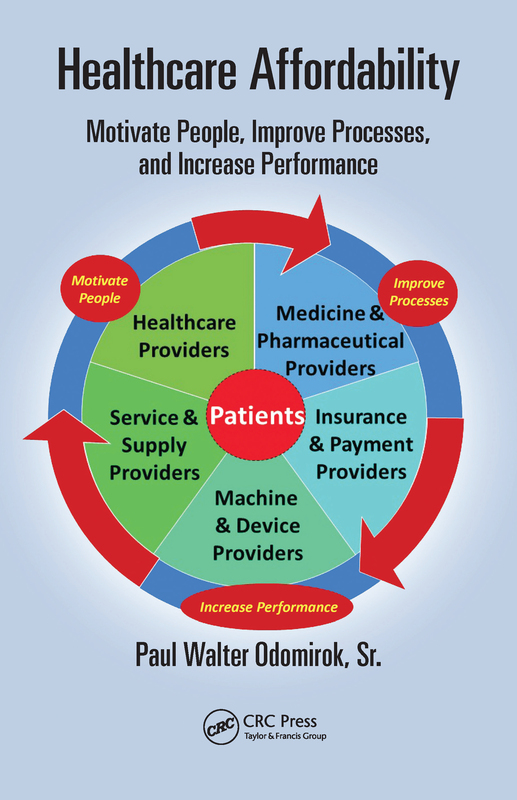 Healthcare Affordability: Motivate People, Improve Processes, and Increase Performance provides readers with methods and means for solving the complex problem of affordable healthcare.